Need some space from work? Zinc keeps you connected to what’s going on at work. Sometimes, you’re not at work and need to focus on other parts of your life. 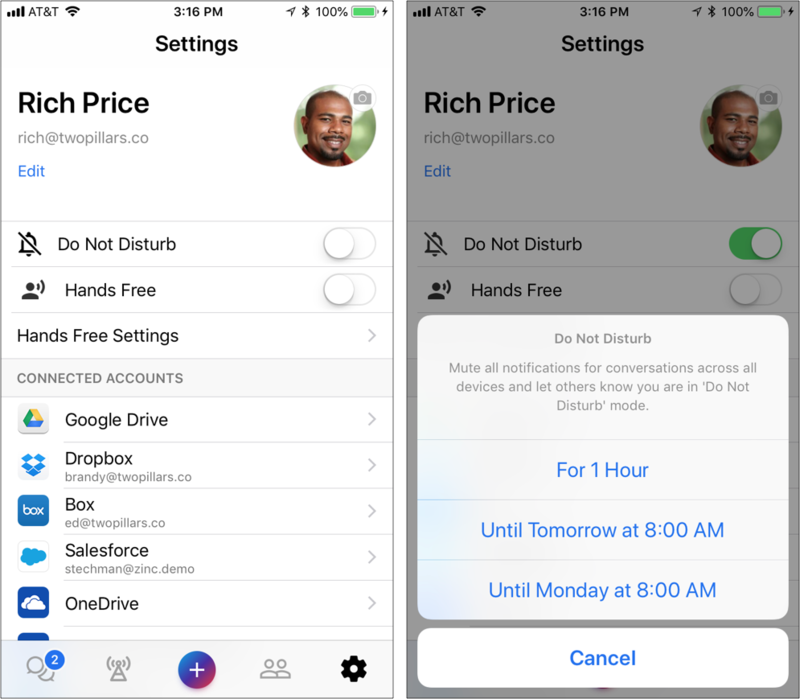 The Do-not-Disturb function within Zinc allows you to disable Zinc push notifications to your personal mobile device for an allotted amount of time. You can find the Do-not-Disturb button within the Settings tab of your mobile application, underneath your personal ID tag. Click the slider button, and choose how long you wish to enable Do-not-Disturb. The Do-not-Disturb function does not prevent any messages from being delivered to you, nor will it prevent you from using the app in any way.